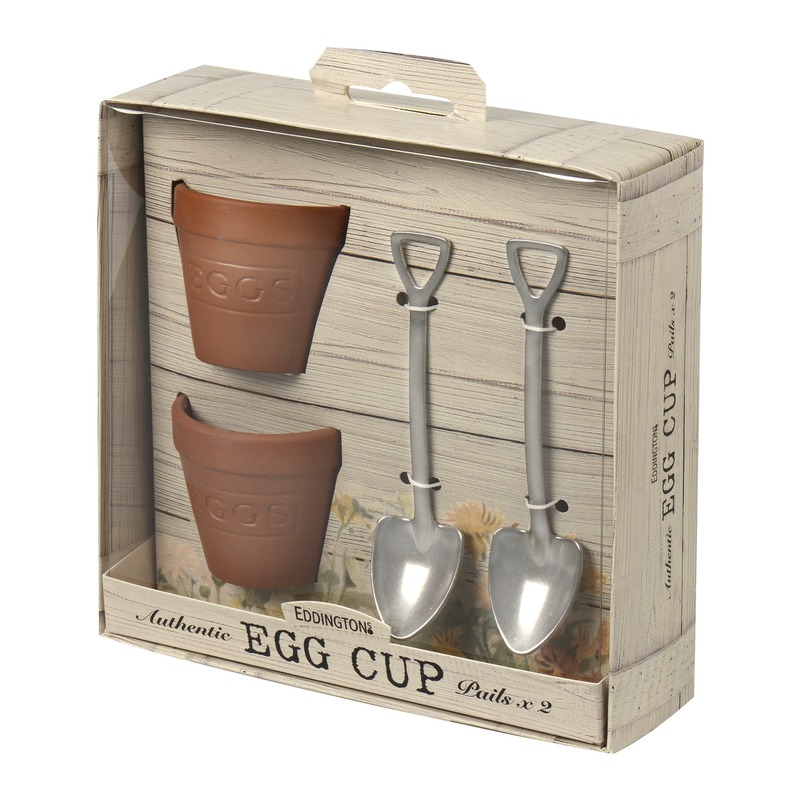 This set of 2 Egg Cups by Eddingtons Ltd are styled as clay Flower Pots and come complete with a shovel-shaped spoon with each one. This set of egg cups are a great way of enjoying your boiled eggs anytime of the day. This set makes a fun gift for a keen gardener.